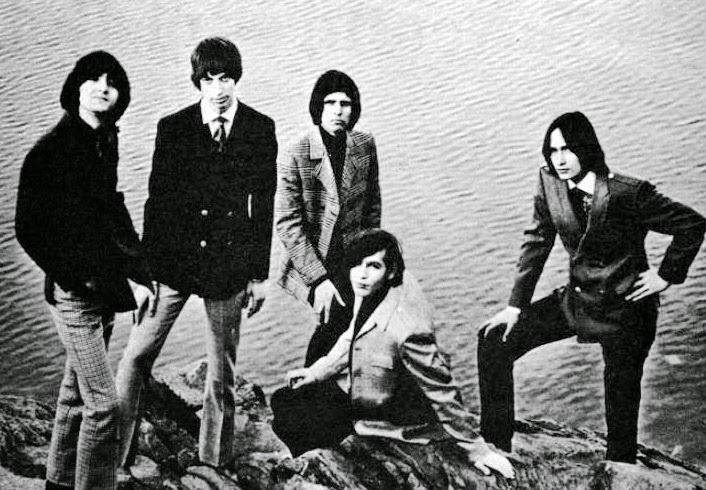 TBT: The Left Banke, "Walk Away Renee"; RIP Michael Brown. "Walk Away Renée, by The Left Banke was a hit for this previously unknown New York group in 1966, rising to number five on the pop charts. The lyrics are by then sixteen year old, Brooklyn born and raised Michael Brown (born Michael Lookofsky), who died last week (on my birthday) at the now tender age of 65. Brown was the keyboardist for the band; on this he plays harpsichord, not a usual rock instrument. His father was a classical and jazz pianist, and he had classical training. His father produced this song and other Left Banke cuts. "Walk Away Renée" has been covered many times, most memorably by Motown legends The Four Tops, who took it to number fourteen in 1969, and most recently by Linda Ronstadt and Ann Savoy. Mets 6, Yankees 0; a good sign? Yes, it was a spring training game, and therefore meaningless. Well, unfortunately for the Yanks, perhaps not. One of their prospects, Jose Pirela, suffered a concussion when he crashed into the outfield wall trying to catch a long ball off the bat of Juan Lagares (photo) on the first play of the game. Indications are that Pirela was not seriously injured, but he'll be sidelined for a while. Meanwhile, we Mets fans can take comfort in Matt Harvey's having pitched six strong, scoreless innings, and in the bullpen's having held firm for the remaining three. Just before spring exhibition games began, I expressed my anxiety about the coming season. My nervousness was quickly confirmed by a double whammy: both starter Zack Wheeler and lefty reliever Josh Edgin will need Tommy John surgery and are out for the duration. Fortunately, the Mets have kept Dillon Gee, a starter with decent stats over his past five seasons. Losing Edgin may be more problematic, as there is no left handed depth in the bullpen. Perhaps Steven Matz, a potential starter in the longer term, could be called up to fill in. I simply don't understand how the Mets can take 6 years to patiently build a young starting pitching staff and then surround them with mediocre fielding. Bringing in the fences doesn't exactly go along with a team built around good pitching either. Perhaps reliance on aging players like Curtis Granderson and the newly acquired Michael Cuddyer reflects a belief that it's home runs, not spectacular catches or well turned double plays, that brings in the crowds. The Mets did show some offensive prowess in the game against the Yanks, with David Wright and Lucas Duda, along with Lagares, all getting homers off Sabathia. The defense got tagged for one error, but was otherwise effective. I may eat my words later, but for now I'm guardedly optimistic. No mention of the Mets, or the Yanks (although one shot of Scott McCaughey wearing a Yankees jersey), or of the Red Sox. I do like it, though, that they mention the 2008 Rays. 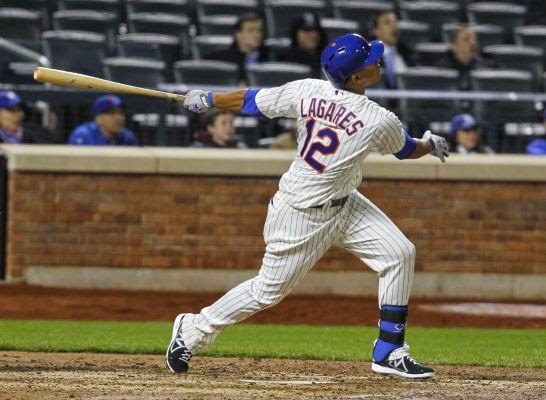 Juan Lagares photo: Standing O Sports.